Every time The Boxcars open their cases, a clinic on how to play Bluegrass ensues. The two time Bluegrass Instrumental Band of the Year have achieved a level of musicianship that sets a standard in the genre. 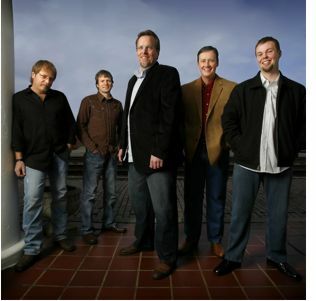 They have a knack for connecting the power of the tradition of Bluegrass with an updated style that converts new fans to it. Venice, FL -- On April 19th thousands will descend on Venice Municipal Airport for the 5th Annual Suncoast BBQ and Bluegrass Bash. The highly anticipated event is proud to host this year’s Florida Barbecue State Championship and will attract 60 world renowned BBQ Competitors to compete for a $15,000 purse and automatic inclusion to the Food Network’s World Food Championship in Las Vegas, NV. The event also hosts a nationally recognized chili cook-off that the winner also receives a cash prize and entry to the World Food Championship. “We’re honored to host the FBA State Barbecue Championship this year and also to be one of only a few events in the country where both our BBQ and Chili winners get automatic entry to the World Food Championship,” says Don Fisher, founder and organizer of the event.